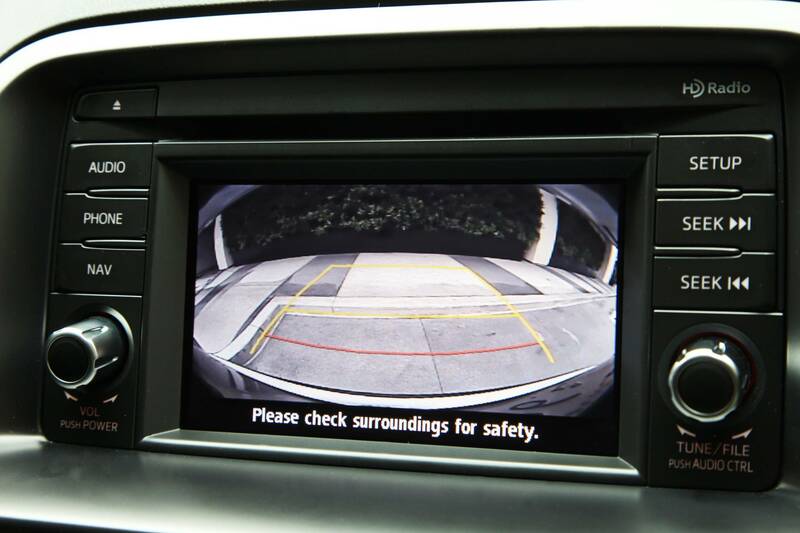 Rearview camera law – is it worth the cost? Two months ago the National Highway Traffic Safety Administration (NHSTA) made a proposal for mandatory installation of rearview cameras in all 2014 passenger vehicles. Passing this law would be another landmark in vehicle safety control, and would one day be a safety feature as familiar as the seat belt or air bag. It is interesting to think that rearview cameras have always been thought of as a luxury feature, and should now be considered commonplace according to lawmakers. The main question is how much safety this feature produces, and if it is worth the cost to automakers that consumers ultimately incur. Earlier this month a 3-year-old boy was accidentally run over as his older brother was backing out of the driveway. This story is part of a bigger picture, as nearly 1,000 people have died as a result of back-over accidents since 2008. The NHTSA estimates that 221 deaths and 14,000 injuries result per year in the U.S. due to such accidents (article). The cost to add a camera and screen to a vehicle is roughly $200. This amount would ultimately be factored into the price the consumer pays when a car is purchased. Essentially this is a tax on the consumer to benefit public welfare. Such policies are often debated, as many individuals would argue that we should leave it up to the carmakers to decide on the features they provide. On the other hand, a rearview camera is a plausible solution that could reduce the number of deaths and injuries that result from back-over accidents. Moreover, $200 is not a significant amount when purchasing a new car, and that cost could likely decrease as the market find less expensive solutions to manufacturing and installing the components. When human safety is involved, short-term sacrifices can often yield long-term benefits. The value of a life could certainly offset the cost of a rearview camera. Select Luxury Cars, located in Marietta, Ga. on Highway 41, hand “Selects” every vehicle. We specialize in the highest quality automobile made all over the world. Whether you live here in the Atlanta area or anywhere around the world, we will find the exact car you are dreaming of. If you are looking for a Mercedes, BMW, Bentley, Rolls-Royce, Lamborghini, Ferrari or other high end model, begin your search here. Did You Know…? Insurance Costs! We also discovered our membership will offer discounts for routine eye exams, lenses and eyewear at participating Target and Pearle Vision. So when you get an opportunity, check with your auto insurance carrier to find out what discounts are available to you and your family. Lamborghini is adding another component to its arsenal, which currently includes the sports cars Gallardo (V10, $180k and Aventador (V12, $375k). This time, however, they are introducing an SUV known as the Urus (CNN). The decision to create an SUV rather than sedan in part hinges on the belief that sedans are “less emotional”, as one Lamborghini spokesperson put it. With Bentley’s recent release of it’s own SUV concept, and data from Ford showing that one in three vehicles purchased in the US last year were SUVs, the Italian super-automaker is making a competitive business decision. The basic design resembles the BMW X6, and represents a new class of high-end SUV crossovers soon to erupt in the industry. The Porsche Cayenne and Panamera may have been precursors to the diversification of vehicle type among elite manufacturers such as Lamborghini and Bentley. Soon we may expect other top names like Ferrari and Aston Martin to apply their engineering and design concepts to a sports utility vehicle. Despite its resemblance to the X6, the Lamborghini Urus would certainly overshadow it with a 640 horsepower engine and price tag well into the high $100k’s. It would also feature handling in the scope of Lamborghini sports cars, and cameras in the place of side view mirrors to check your blind spots. 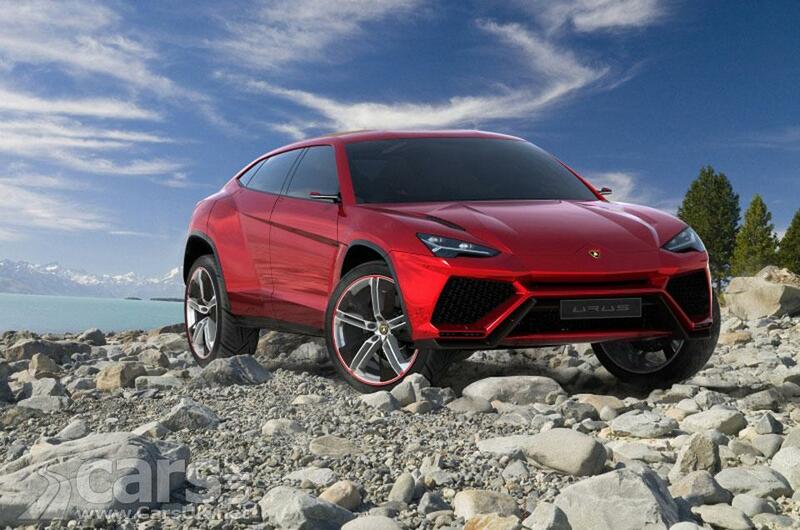 As Lamborghini currently sells 2000 cars a year, they would plan to make 3000 of the Urus available to the market. The design concept, production plan, and unconventional approach for the sports car automaker point to a new class of high ticket vehicle that will develop further in years to come. My teenage son is preparing to take his written test for his learner’s permit next week. Until now, I haven’t spent much time talking to him about being a responsible driver. This weekend my wife and I sat with him and watched Dateline’s “My Kid Would Never Do That: Driving.” They focused on teens making decisions about texting while driving, getting in the car with a teen that had been drinking or said they were high. The premise of the show was parents secretly putting their teens to the test to see what they would do if faced with these scenarios. All of the parents said they had some sort of conversation with their child about what not to do and to call home if they need a ride. The parents were 99% sure their teens would not get in the car under these circumstances, but most of them did. My 19 year old daughter started driving when she was 15. I would like to believe she would not put herself in harm’s way. My wife always discussed things with her like not driving with the music too loud, letting her friends change the radio station and answer her cell phone if it rings, and making sure her friends buckle up. The best we could hope for is some of the things we taught her would kick in at the right time when faced with those situations. Last year one of my daughter’s friends was driving from her college in SC to pick her up in NC, so they could come home for the weekend. It was around 8am when her friend fell asleep behind the wheel. She lost control of the car and it spun around 360 degrees on the highway ending up facing the opposite way. Fortunately, there were few cars on the road and she was not injured. When my daughter reached home, she told us what happened to her friend on the way to pick her up. I was pleased when she told me she stayed on the phone with her friend until she reached my daughter’s dorm. Needless to say, my daughter drove from NC to Atlanta. As my son spends this week preparing to pass his test, I will definitely take time to go over do’s and don’ts of the roads, peer pressure, driving with his friends and obeying the law(s). Parents please take the time to talk to your children about what they need to do when getting in the car with friends. Hopefully, they will be the voice of reason in a real life situation. One of the most frustrating parts of the car buying process is figuring out what vehicle you want to own. Most people see a car and think that’s cool or that’s pretty then realize it just wont work for them and they have wasted time and energy on research and looking around. I strongly recommend making a list of how you use your car on a day to day basis. If you have a 100lb dog you take with you, a Porsche Boxster probably won’t work. Think about your commute, the activities you participate in and if you have other people with you on a regular basis. Next, you must set a budget. If you don’t, you find youself looking at and falling in love with a vehicle you can’t afford. Knowing insurance, maintence and fuel costs will also help you set up a budget for your next car. Once you have your budget set, you can begin narrowing down the choices. There will be new cars that fit into your budget, but a quaility pre-owned car, will provide reliable service as well. When all is said and done, you will be the one driving and paying for the car. Some homework will help take some headache out of the process. One of the most important purchases for motorists with children is a good quality car seat. Knowing your little one is safe in the back of the car is not only a legal requirement, but will give peace of mind when traveling to your destination. However, with so many different makes and models on the market, knowing which car seat to choose can be a tough task. There is also the issue of fitting it, as failing to do so properly could lead to all sorts of problems that can be easily avoided. What does the law say regarding car seats? At present, the law stipulates that a child must use a car seat until they reach 135cm tall, or the age of 12 – whichever occurs first. A seat needs to be suitable for the youngster’s age and weight, so parents need to avoid thinking that one size fits all. What types of car seat are available? Each child car seat is designed for a different weight, which can be identified using the label on the product. This will indicate which weight ranges the seat is suitable. Group 0 and Group 0+ seats are rear-facing and suitable for babies weighing up to 13kg. Group I seats are either forward or rear facing baby seats, suitable for infants between nine and 18kg. Group II seats are forward facing and are often referred to as booster seats. They are designed for children between 15 and 25kg. Group III child seats are those best suited to children who weigh more than 22kg. How do I know which car seat to choose? One of the best ways to make sure the right car seat is selected is to ask for the help of a sales assistant. They are often equipped with advice on the right product to choose and can help make a sound decision when there are so many choices. It might be worthwhile to try out a car seat before buying, just to see whether it fits properly within an existing car. How do I fit the child seat? The best thing to do when it comes to fitting a car seat is to follow the manufacturer’s instructions to the letter. It is crucial to make sure the seat is tightly secured in the adult seat and that the seat belt is passed through all the relevant slots. Another thing to check is that the buckle of the seat belt is not bent over or resting on the frame of the child’s seat, or that the belt is not changed in any way to make it fit. Here’s a twist to offering the latest emerging technological and inovation updates on topics such as Automotive, mobile technology, robotics, Military, Inventions and many other topics. It’s a portal to future inventions. GizMag is not just about the latest and newest, but about the coolest and greatest stuff! Their subjects are fresh and engaging content that we hope will stimulate new ideas, thinking and dialogue. Their blog is geared toward early technology adopters and people interested in the next generation of technology.